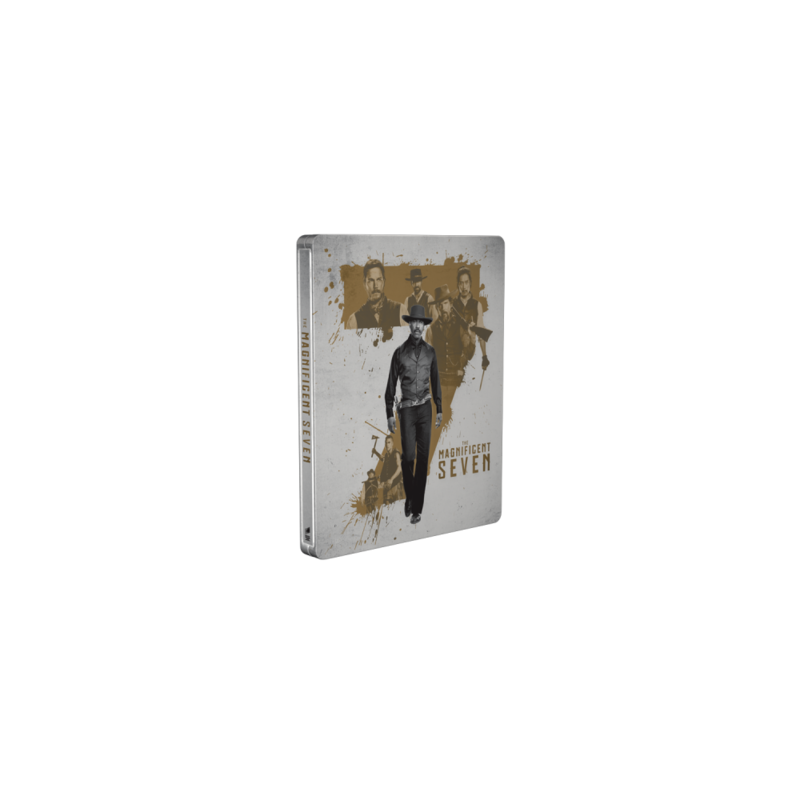 This magnificent SteelBook® edition is treated with spot gloss, which gives the 7 and Denzel Washington a glossy effect. 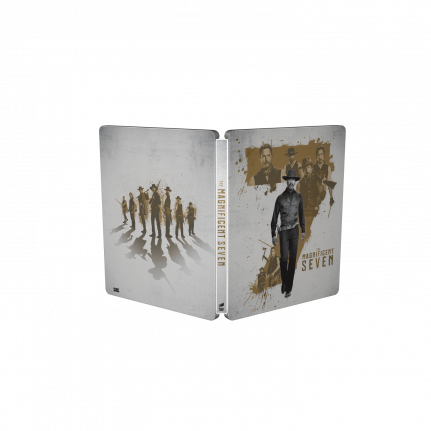 The metallic shine from the SteelBook® case only comes through at the 7 and the splatter on the back. 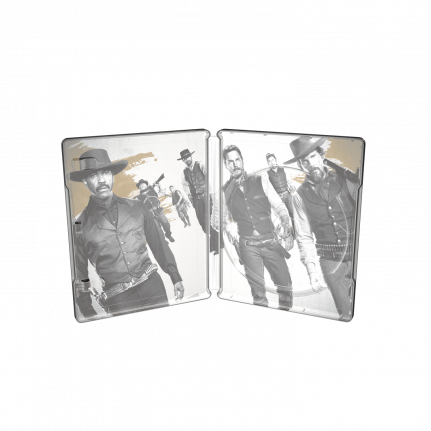 Using different effects on separate part of the artwork, creates the dimensional effect that can only be achieved in a SteelBook® edition. A unique perspective on the making of this epic film, seven tales that will take you inside the world of the movie. Woven together with graphic and narrative elements to create the feel of an anthology of stories, be immersed in every detail of how the film was crafted by Director Antoine Fuqua and his cast & crew. The disk contain: Why we want to be cowboys, Fastest gun in the West, The Magnificent seven ride, Building Rose Creek, The Man in Black, The Legend of the Western stuntman, and A magnificent History. With the town of Rose Creek under the deadly control of industrialist Bartholomew Bogue , the desperate townspeople employ protection from seven outlaws, bounty hunters, gamblers and hired guns – Sam Chisolm, Josh Farraday , Goodnight Robicheaux , Jack Horne, Billy Rocks, Vasquez , and Red Harvest. As they prepare the town for the violent showdown that they know is coming, these seven mercenaries find themselves fighting for more than money.